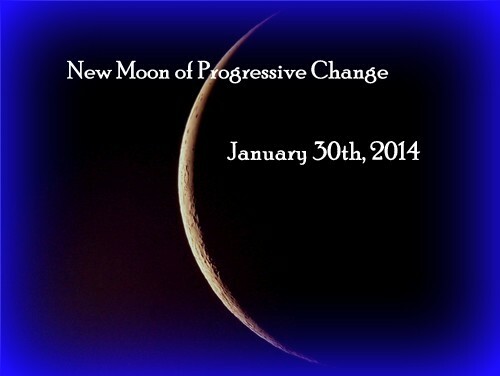 On January 30th, 2014 at 1:39 PM Pacific, 4:39 PM Eastern, 21:39 GMT we will experience the energies of the New Moon in Aquarius. I am calling this the New Moon of Progressive Change as what we have experienced in the month of January is going to help us move into more changes by accepting the challenges with more ease and grace. The New Moon energy is going to help us propel further by thinking outside of the box and detaching from our emotions and destructive behaviors. It is a time to let go of the old way of doing things and step into the unknown by reaching out to others. As Lightworkers, that can be a challenge as we only want to be with like-minded people and sometimes where we are located does not afford us the availability to spend time in group connections. On a spiritual note, I take this energy to mean that it is time to reach out deeper with our spiritual connections. The first one is with our-self. I pose some questions: Are you connecting on a deep level to your Higher Self and what has changed for you? What did not work for you this month? Do you know how you can handle things differently within our own spiritual pathway? Reflect deeply on each week in January and try to see how you have changed through each cycle. It is important that we see the changes that are happening within our consciousness and life to truly embrace the new essence that is awaiting for our arrival. Then take inventory on the elements that need to be removed and the ones you want to embrace. Allow yourself to look at your small achievements and reward yourself with positive energy. Accept the fact that you are changing even if it is very minute and no one else may see it as much as you. That is okay; you are the one that needs to confirm within your physical mind that “all is okay”. Then, if you need assistance with understanding what these questions may mean or need to reach out, please do so within your meditations and prayers. The best place to ask for help from the Ascended Beings is when you are within your quiet space reflecting on what it is you need to change. Allow yourself to be within your breath awareness, the “in and out” of the breath represents the “no time zone”. It is within this space that we truly connect more fully to ourselves. Once you experience this, you will want to do it continually as it helps you to become more focused on your Higher Essence instead of your Physical Self. Then, when you return into your conscious awareness, write down your experience. How did it feel in your body? Were you completely out of your consciousness or could you reflect upon your higher energies like floating on a cloud? Be specific so you can let your Higher Mind blend within your Lower Mind. This is truly what this New Moon represents for each of us. We are within a time of great acceleration but also dramatic changes are going to happen within this Earth. We have to learn how to ground our higher essence within our physical system. If we do not do so, then we will be vacillating between our emotions and thoughts. Nothing can be achieved in this way of being. It is of the old paradigm of the 3rd dimension. It is n w time to take action. As you work with this exercise, you will see that you are more positive and hopeful about your life situation. Elements will change to help you see your life more objectively without the confines of the old mind and heart getting in the way. You start to learn to access your Higher Essence, feel the love that you are on that level and fully extend it into your physical body. You will see healing occur for you in various ways. But you must make the first step and create your new reality. Blessings for a wonderful moon experience. ©2012-2014 Walking Terra Christa Academy of New Earth Mastery http://walkingterrachrista.com/ by Rev. Christine Meleriessee and Mike Hayden. Permission to repost this information electronically on your non-commercial website or blog is granted as long as you include this copyright statement and the following referral links. Use for commercial websites, blogs and printed or written reproduction requires written permission. 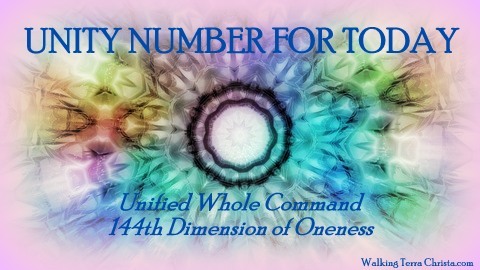 We, at Walking Terra Christa, are now providing what we call “Unity Numbers” that represent the Science of Numerology with a channeled message from the Unified Whole Command with Master Thoth, Great Divine Director, and Master Einstein along with the Brotherhood of White Light. The first part of the message will represent what the number means in the terms of numerology with keywords. This is descriptive information on the background information on the number of the day. Included is a definition of how the single digit number was derived. For example, January 28th is added up from January = 1, 28=10, 2014=7. We then take 1, plus 28=1, plus 7 which equals 27 which will add up to 9. In the science of numerology 27=9 reflects certain characteristics while adding up to “9”. We will share what those aspects represent in reference to the “9”. The descriptive material is gathered from “Numbers and Their Meanings Blogspot.com”. We are not numerologists, but Rev. Meleriessee has a basic knowledge of numerology in her studies. The information provided on this blog is quite extensive. If you want to delve more into the concept of numerology we suggest using this site. Today’s number is derived from the numbers of 2 + 7 equaling nine. This represents learning to lift our energies to the highest aspect with balance and perfection. It is a highly spiritual equation standing for Universal Love, Brotherhood and humanitarianism, being selfless and very intuitive. The rest of the post will include a channeled message from the Unified Whole Command on what the number represents for each specific day. We are sharing this information as the Unified Whole Command wanted to help individuals accept 2014 as Grounding Unity. What a perfect way to share the energies of the day so that an individual could possibly understand what they are experiencing from a higher perspective while utilizing some of the advice to help them walk through their day with more ease and grace. We do post these daily messages on our website under “Blog Posts” which you can receive directly in your email and on Facebook, http://facebook.com/walkingterrachrista/. 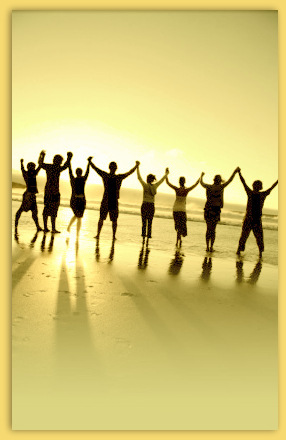 Many wish to live in a society where there is a cohesive sense of community. A place where each soul is recognized appreciated and honored for not only their individuality but also their gifts and contributions. One aspect of living in a Golden Age upon a New Earth (“Terra Christa”) is often overlooked. That is the concept of communal energies. While the merging of our fields occurs in the regular Third dimensional world we all know, this aspect becomes much more pronounced when living in a higher frequency because lower energies are much more noticeable once you raise your frequency. What one member of the group feels or thinks; all members of the group will experience and at a much greater level than in the Third dimension. All will be impacted positively or negatively depending on the particular vibration of the emotion or the thought form. In the Third dimension individuals who are more considerate and caring of others (which is a descriptive adjective that can be applied to a Lightworker), may have the habit of dealing with disruptive or lower frequency personal feelings and thoughts by keeping them to ones self as they work on resolving it, while those who are less concerned about how they affect others may be more abusive and outwardly more negative in their expression of those frequencies within them. Recognizing one’s own energies as something to be monitored and corrected if needed is a trait of the more awakened soul, partly because they probably are also more sensitive to energies themselves but mostly because they realize they are seeking the pathway to greater Unity. Lightworkers and those who designate themselves as being here on earth to assist in the awakening of humanity are indeed more sensitive so they can learn to master a deeper level of energetic perceptions within, and outside of themselves. The path to living together as One, requires more diligence because we cannot arise to a new way of being without the complete discovering of exactly how we each are contributing to the energies of the earth, each other and existence itself. How often are we the unwitting or unknowing cause of disruption? How often do we contribute to continuing or condoning the exact frequencies that we find so destructive? We all know that energy, once created, continues to exist. In terms of our fields, especially the mental and emotional bodies, what we create within will then continue to radiate outward. It cannot be ‘uncreated’ once created; it can only be slowed or stopped by another creation of lesser or equal force (respectively). Communal living truly requires a depth of harmony not normally comprehended because the level of “right energy” that must be not only created to begin with, but then carefully nurtured and protected, is not something that many of us have ever experienced firsthand. In our Third dimensional life conditioning, we can get away with ignoring much of what we feel or think inside, internalizing and suppressing any unwanted experiences or emotions so that we do not have to deal with them. This is, to use an often overused phrase that is probably more applicable here than in any other usage, “the true root of all evil”. Living in a Fifth Dimensional field of frequency means that one cannot carry around such baggage. All energies of those who make up the sum of the whole truly make up the whole. And this is true regardless of if you are aware of your baggage or not. Baggage is baggage. It is not personal, it is just what is. Third dimensional life carry’s a great deal of baggage with it. Here is a cursory set of relationship guidelines to follow in order to begin the process of clearing out the baggage and raise your vibration so that you can lay a foundation for living communally upon the New Earth. Learn the Art of Self Awareness – one must be able to perceive when they are affected by lower frequencies, regardless of the source originating as external or internal. At the level of awareness we are speaking about, this is not a skill taught in most current cultures. It requires a true knowing of one’s inner self. One must learn who they really are to be aware of when they are not being that person. It is not a simple journey but it is very possible and much required being the first step in personal Mastery. Brave into Open Conversation – no resolution can exist in a world where things remain hidden. This is why you are seeing so many previously hidden aspects of our corporations, organizations and governments coming to light. We must also mirror that action by bringing what is inside us to light as well. Even if you are not really aware of anything more than an imbalance in your field, let alone your emotions or thoughts, learn to speak to others about your state of being. After all, your state of being actually contributes to theirs. Isolation or putting off such a conversation is only contributing more to the existence of disharmony within the larger field of the communal energy. Discover How to Raise Your Frequency – seek out tools and resources on how to “shift” your state of being in terms of a Higher Frequency of living. There are many coaching or traditional methods that can have you delve into your thoughts and emotions. Seek out those that have you gain full awareness of your perceptions and the ability to then shift your perspective and state of being in short order. There are some methods that involve techniques that accelerate the process so you do not need to spend years in therapy trying to retrace your footsteps, these involve using the knowledge and vibrations of the Higher Frequencies within the healing process itself. Regardless of what form of practice or methods you use, the goal is to not allow your past conditioning reaction to dictate your future wellbeing action. This is a process of discovering how often we make assumptions not only about others and their motivations but how deeply we are conditioned in doing so within our own conscious, or more accurately, subconscious. Clearly these pointers are merely overview descriptions but they are very necessary if one desires to live in true harmonious relations with others. As we move forward into the energies of the New Earth within the 21st Century, the old patterns of allowing disruptive ways of being in our lives will no longer work. The higher vibrations of the cosmic energies now hitting and starting to be anchored within mother earth will make the gap between lower energies and higher energies more pronounced with every passing day. Individuals will find that the dysfunctional coping mechanisms they had successfully used to distract or divert issues or circumstances will cease to protect them. After all, the actual desire is to live in real companionship not just in the company of others, and that is how it is in the Fifth Dimension. 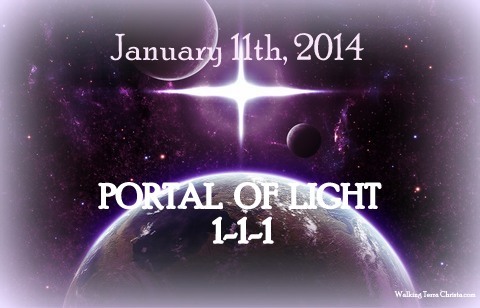 Today represents the first Portal of Light of 2014 representing Oneness within our full consciousness. This year we are stating that it reflects Grounding Unity within our physical creation. Today is the first of many accelerations representing this new wave of energy to be felt by humanity. Our worlds are coming together with the higher levels of existence as each of us as a Lightworker or Torch Bearer is feeling the accelerated energies within our physical existence. This is all by design so that we will fully accept the Divinity of Light that we are in our creative process upon GAIA. Today it is time to accept your role within the world of higher consciousness. There are still many unawakened individuals upon the planet which need assistance. We also have numerous people that have stepped into the self-help pathway but need to go further. As a highly seasoned professional in this realm, I am being guided to share that it is our utmost duty to accept the process of our wisdom, knowledge, heart connectedness of our Love, Will and Power to be fully manifest within us to help others. It is with this that I bring forth a special message and love to each of you. It is my Divine Pleasure to share my essence as a spokes-being of the many creative processes within the Unified Whole. I Am Lord Metatron; please know I speak in the totality of who I AM but for the Greater Whole of Creation. It is a day to truly rejoice in the essence of prosperity and abundance of the self. 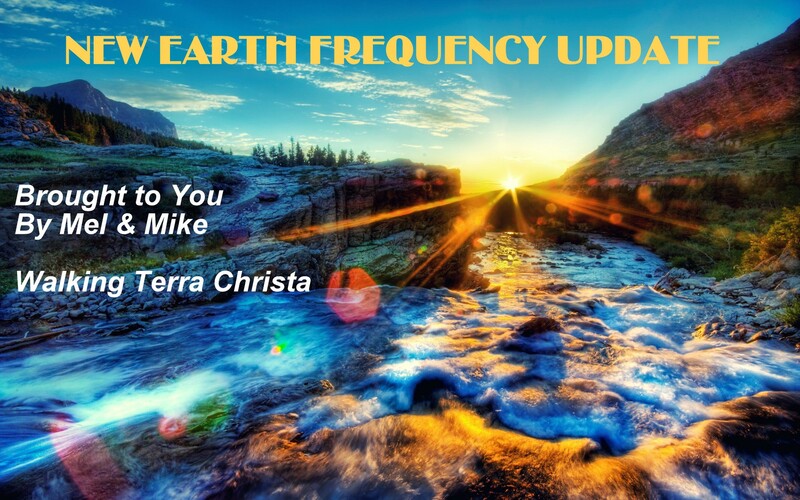 We are coming into a new wave of frequency on this day of creation, January 11, 2014. It is the first of many activations that will occur upon the planet during 2014 but is a momentous occasion. It has been 22 years since the first of the 11:11 activations. We thank Solara for bringing forth those essences into the hearts of many. We also reflect upon the energies of the Harmonic Convergence in 1987. The culmination of those energies were fully actualized in 2012. So it is with great pride and joy that I share that each of you are grounding these essences within GAIA through the acceptance of your Divinity of Love and Light. When an individual becomes aware of themselves in a higher light, it can take some time to fully see the reality of what truly is occurring. The blending of the Higher Consciousness into the Human Consciousness is something that takes great patience, time, and diligence. We are now at a new venture of time upon this Earth. It is with great exaltation and joy that I share this message. Each day of this year will bring you new changes within your consciousness. As this changes, you are changing the consciousness of the world. All the previous work has been done to set the energies into motion. GAIA is able to receive more than we ever thought that she would. It is due to what you are doing in your own personal transformative process that is allowing for the acceptance of Light that is truly the guidepost of future times. It could not have been done without the many awakened beings of the 1960’s through this time period. We acknowledge each of them for their time upon this Earth and what they tried to achieve. Many felt that they had failed but yet what they did was create the Bridge of Awareness to be ignited within the planet so each of you at this time could walk easily into your higher state of existence. So on this day of the 11th of January representing 1-1-1 we see a higher existence of light being infused within the planet and each of you. It is important to take time on this day to fully accept your own Divinity. This is not a global event but more of a personal one. Reflect within yourself your own purpose of light. What is it that you can do to be a better lightworker? How can you accept the challenges more easily so that your full body system can be acknowledged? These are some of the questions we pose only for you to go deep within yourself. Presently there are great changes in the weather patterns which means that there is a war happening between what we desire and what we are experiencing. The electro-magnetic fields are being stepped by the dark energies to create more fear and anxiety within the hearts of each human upon the planet. On this day it is time to go into your highest essence and prepare for an acceptance of light energy to be experienced in all parts of your existence. This means to take time for yourself within the forces of Light that you are, through your Higher Self, Monad, and I AM Presence to be more fully grounded within your physical being. It is a time to reflect about the forces of Light as the forces of darkness around you are trying to deter you from your true purpose. It is a time to truly be within your Beingness whether it be in meditation, silence, or connecting with like-minded individuals. Stay away from the media, arguing with others, and any element that does not align with your Higher Heart and Higher Mind. Be One with whom you are and allow the Portal of Light that is being accelerated on this day to become One with your physical being. The acceleration of the energies will only be felt as deeply as the power of your higher essence. If your lower mind comes into place within these energies, then you will not receive the full potential frequencies that are available. These essences are being sent from the 144th dimension of Love, Will, and Power as we are all in Oneness together. Travel up to this frequency and Just Be in the space of Oneness. Let it travel back down to your physical existence. Spin the energies within your chakras, your Soul Star and Earth Star as you become the Light Being that you are. Then share it with GAIA, expand it out of your internalization into the externalization of your essence. The energies on this day is the first Grounding Cord that GAIA is going to be experiencing. It is to be felt by each of you but also to help GAIA accept the new essences that are coming to her. It is about Grounding Unity through you, within you and outside of you as it is the first step of realization for the acceptance of the Earth’s atmosphere. Standing by with these accelerations on this day are all communities of light within Oneness. I speak for the God Force with the Angelic Realm, Galactic Forces, and the Inner Earth Community. It is our time to come together. You may haven noticed the skies showing star ships in certain areas. This is an acknowledgement that the Universes are coming closer together and this will be commonplace in your world. There is more to be shown. Some areas are also seeing powerful energies around the moon and the sun. This is representative of the frequency of light that is occurring at this time. The skies are shifting into alignment to help prepare GAIA for her acceleration. Each of you stands in this moment as a Divine Being to accept your responsibility through the transition of light from darkness within the planet. This is our first acceleration to be fully accepted in a different format than previously has been experience upon this planet. It is a moment in time to rejoice the power of light that is occurring within with of us, Spirit and Physical Existence to come together in One Time of Space and Creation. Take time to reflect what 1-1-1 may mean for you in your personal existence. It is a new day to be felt and embraced as it is setting the stage for more to evolve within all of us. It is my Divine Pleasure to extend these energies unto you. Every where around the world GAIA is receiving extreme weather conditions. Lord Ashtar with the Ashtar Command gave a special presentation during our retreat in December on how they want to partner with the lightworkers to help heal our Earth while receiving better weather conditions. We, at Walking Terra Christa, want to share this visualization and announcement as everyone’s active participation is essential. 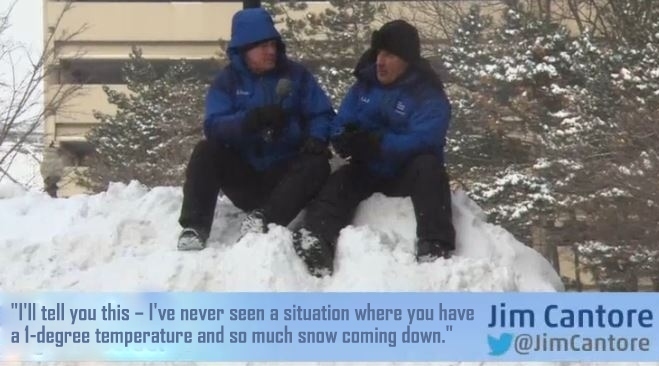 To read more and to listen to the audio portion of our tele-call, please go to our website, http://walkingterrachrista.com/gaia/extreme-weather/. Please share far and wide so that we can work together. We will be participating in a group tele-call periodically throughout the year so stay tuned to our updates to receive the dates and time. We hope you will join us. ©2012-2014 Walking Terra Christa Academy of New Earth Mastery http://walkingterrachrista.com/ by Rev. Christine Meleriessee and Mike Hayden. Permission to repost this information electronically in its full entirety with no alteration on your non-commercial website or blog is granted as long as you include this copyright statement and the following referral links. Use for commercial websites, blogs and audio, printed or written reproduction requires written permission. We are now standing within the threshold of 2014. The year of 2013 represented great changes within each of us and on the planet in various ways. We experienced high activations through each of the cycles through the months and now we have stepped into a new doorway to Unite our True Self’s with our Physical Reality. It was the year of “Synchronization”. Now we take that synchronization and blend into our present experience as we walk as renewed Beings of Light. 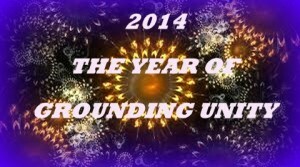 With the oncoming energies of 2014, the theme of this New Year represents Walking into Grounding Unity. This is bringing in the energies of the Oneness Consciousness that we all have been accessing in our thought forms, down into our physical energies, and grounding them into GAIA which is important in the structure of this year in 2014. It is important to take time to reflect on our recent past experiences to truly measure the power of walking into a new year at any given time. This year of 2014 there is an alignment occurring for more individuals to understand themselves in a completely and different manner. The number “14” represents our karmic rebirth. This is the year in which we are “righting” all our past deeds and in doing so, we are receiving the Divine Dispensation from our Higher Essence to be manifested within our world. The keywords for this year represent, “harmony, balance, temperance, and prudence”. It is a year in which elements will come into alignment to allow for the true manifestation of our heart’s desire from our highest consciousness into a physical reality. This does not mean that there will not be more challenges within our lives. It depends upon how deep and far you travel within your Soul Body to ignite the darker timelines so that the lighter timelines can be ignited. In order to receive we must purge the old elements to make room for the divine power that we are. Walking into a mastery pathway is truly the only way in which you can understand the process of your journey as it continues in each moment. The deeper we travel, the more we will receive. This year is going to help us create these elements and then give it to GAIA and others around us. You may be finding that souls will choose not to stay on the planet as the light is going to become so much stronger that it will be more of a challenge for souls that are not ready to continue this journey within the physical body. We are creating the New Earth presently but we have a lot of work to do with ourselves and each other for it to become fully manifested within our world. 2014 represents a gift from the Source to help us achieve our next level of acceleration to help humanity. It makes perfect sense that on January 1st we experienced the first New Moon of the year as we are experiencing the ability to express Oneness from our personal self. It is a time of great reflection, making the necessary changes to what does not fit our consciousness for Unity within ourselves, and how we can achieve the highest results within our physical reality. We walked across a bridge from 2013 to 2014 to fully embrace the expression of our essence as it was shown to us in 2013 to know that this New Year is a new beginning to allow for more changes within us helping us to acknowledge our multi-dimensional self to be fully manifest. The Unified Whole Command message was given to us during our retreat in late December to prepare us for the New Year. Due to time constraints we were unable to share the message until this moment. We hope you enjoy as we continue the journey together in Oneness. It is our pleasure to come into this venue for the New Earth Freuency Update. This is Master Toth, the Great Divine Director, and Master Einstein; Commanders of the Unified Whole Command along with Light Beings that makes up the Unified Whole Energies of the 144th Dimension of Oneness. Let us talk a little bit about 2013 first. What a tremendously powerful year it has been for every individual upon the planet as the energies of each month that have occurred with the transitions are allowing each individual person to fully embrace who they are. Changes have been made. The lands of GAIA are being deeply affected and within the hearts and minds of all humankind, life is being altered. Each of you, of the Lightworker Community, are learning that change is inevitable and the more that you work within yourself, the more results you will see within your life. But, you need to fully Ground Unity within your personal existence through your physical body, incorporating the higher chakras, allowing the Etheric body to be repaired and healed so that the Feminine (of the Emotional body) and the Masculine (of the Mental Body) can be fully actualized through the activations of the Three-Fold Flame, of Love, Will, and Power. Well, in essence, the Winter Solstice prepared the bridge – the Portal of Light of walking from 2013 into 2014. Now some of you may have been deeply affected with some dramatic purging changes either physically, emotionally, or mentally because that is all part of the process. Because you see, as we go into 2014, it is important to have the realization that the Divinity of our Light must come more fully, not just in the consciousness within the mind thoughts and the feelings but, fully within the physical existence. So as an Initiate of the Mastery Pathway, you will be challenged to move through these Levels of the Initiation you are working through. You may think that a doorway is being closed but yet, the more that you work within yourself, you find that the doorway is now being opened. You may not be quite ready to walk through it, but you see that there is a possibility to do so. And this is exactly what happens to each occurrence of the Activations within the Earth. The Moon Cycle, the Eclipses, the Equinoxes, the Solstices; all of these are so very important and how can we not mention Comet Ison; and the energies of Helios and Vesta of the Great Central Sun, as all the Great Central Suns are activating their energies within each other to assist GAIA. We are merging into a New World where elements from other dimensional frequencies are becoming more active within humankind. It is representative of the Light Ships in the skies that the Galactic Ships are showing everyone on Earth hat they know what they are going through and they are here for their assistance. It is important to have the realization within your own consciousness of what feels right and what does not. This is going to be an important element for 2014 as more pieces of the puzzle of GAIA’s Ascension are going to be coming into creation. Each individual soul is going to be finding themselves researching and wanting to learn more about each different piece that they experience. This is when humankind can get into trouble because then they keep moving forward to research and find more information but yet, what are they doing within themselves? As we moved towards the energies on December 31st, it represented a Gateway of Life of going into the New Year. The Sun was streaming its Rays on this day to fully connect with Helios and Vesta of the Great Central Sun and allowing those frequencies of Light to fully be within you and put out the ability to walk through this doorway with ease and grace. So you may be finding that this time that you are purging, that you are removing elements within your Soul’s Essence, that He or She does not need because the Etheric Body is being cleansed in many different ways. It may result as physical symptoms, but please know that they are not always the present life circumstance but in the Physical Body. So there are elements of your timelines being ignited through this process. It is important for us to have these realizations; otherwise the Mind may go to other places and try to research information of how to feel through this process. The best healing capability will be through your Higher Essence, raising your vibration, allowing the energies to fully be within your body, because that is why you are purging. So the more aspects of higher consciousness that you can bring into yourself through the cellular memories, the easier it will be for you to accept the Divinity of your Pathway that is unfolding. Every occurrence that has happened from 2013 has molded you to be who you are presently. So as you are reading this transmission, let us fully embrace your Soul’s Essence and what it is your Higher Self desires for you to experience as you go into 2014. We are representing 2014 with the definition of Grounding Unity. What does that truly mean? It means everything that you have been experiencing up to this point is now going to be fully grounded into your Full-body system. It is now time to fully access your body, not on an individual basis but on a completed level of understanding. This means taking the Physical, the Etheric, the Emotional, the Mental, the Spiritual, and the Higher Spiritual Bodies to be One. If we continually access them in separatist thinking, then they will stay in that Essence. If you were being challenged by your Mental Body, or your Emotional feelings, please know that when you keep them separate, they will be independent and not allow themselves to merge into the completeness within your Heart Center of the Masculine and Feminine Divine coming into Wholeness within your creation. The more that you access these energies within your physical existence, the easier the process will be in 2014. Manifestation is going to be very powerful for 2014 but only as powerful as your Full-body system. When you allowing your Highest Essence, and when we say Highest Essence, we don’t just mean your Higher Self, we mean your Monad and I AM Presence; that consciousness that you are, that we all are part of, that the Unified Whole comes from, the Source of Light and allowing that Source of Light to fully be in the Full-body creation. This is going to help you more than anything else because as we move through this year there will be major changes that will occur within the World, within GAIA. The more grounded you are and settled within your own consciousness, the more understanding you will acquire of what you are experiencing. Please know that every individual soul upon this planet is going through this process in quite different ways. This means that an individual that is not an awakened person is still going to be feeling these Essences and some of them may not be able to handle it. They may choose to receive an illness and leave the planet. They may find themselves in an accident that they need to heal themselves from, or they may feel lethargic and not sure what to do with themselves. This is where each of you, as the Lightworkers, are going to assist because the more that you ground these frequencies within yourself, the more understanding you will have. Stepping onto the Mastery Pathway is an essential component because the more understanding you have of what you are experiencing; the better you can extend it out into the World. You see, you don’t have to share the knowledge with another Being, but what you need to know for yourself is what you are experiencing. The process of Initiation is very deep and involved so it is important to look at it on a simpler basis; to have an understanding that you are working through your Physical Body, your Emotional Body, your Mental Body, and then moving into your Spiritual Body and that’s what all the tests and initiations are about. But it is an important stage and it is the most important as you cannot move forward without having these elements put in place. It will make your energy flow more easily. It will help you in your healing. It will allow you to accept your feelings and it will bring forth the thoughts from the higher frequency. Then the body will be able to relax. What you are going through presently is stressful, so it is important to allow the body to receive the higher frequencies of Light to allow the experience to be the most beautiful one you have ever envisioned. What is your desire for 2014 as you step into this New Essence? Know that you are being completely taken care of by your Highest Essence to do this work and to bring forth these energies onto the planet. So it is imperative to take this time, the bridge of December 31st, and walk into the New Year as a new you, a transformed Being of Light with the Essence of the Great Central Sun all working together and all the levels of creation: the Solar, the Galactic, the Universal, the Multi-Universal, the Cosmic, and then the Source of Oneness of the 144th Dimensional Frequency of Light. We are all here with you, walking with you through this process of allowing your purest sense to come fully within your Being; to accept yourself in a completely different manner than you ever have before. Everything else will fall away if you just allow it to be. The more that you create the New Essence that you are to be fully transformed into the physical existence, the more GAIA will receive it and the World. Let’s face it. The leaders of this World need this Light but most of them cannot do it for themselves so each of you standing at the forefront are the ones bringing this forth and yes we know it is a great challenge and a great responsibility. We, of the Unified Whole Command, are deeply honored that you are doing so and that you are stepping forward and allowing these light formations to be fully within you. Just please know to only bring within yourself what you can. Utilize the work through your Higher Self and allow the Physical Body to accept it in a step-by-step process because the more that you try to bring on, the more challenging the process will be. Your body can burn up by bringing on too many energies. So allow yourself to rejuvenate in between. Balance yourself. Learn to enjoy what you are experiencing and not be constantly in the forefront having to be the first one in line that’s going to win the race. This is not a race. We are in a state of evolution that has never occurred on this planet. The best way that we can get through this process together is to be honest, truthful, compassionate, loving, considerate, and humble; and that creates power. The process that is occurring presently is allowing your three minds of the super-conscious, the sub-conscious, and the conscious to be One Mind within your physical structure as you receive your Masculine and Feminine Divine to come into Love, Power, and your Will; all guided by God’s Light. So the structures of the old Mental Mind will dissipate, and when they don’t, these energies of 2014 will cause more confliction. So it is very, very important to be strong within yourself, to understand what is occurring for you, so that you can be all that you’ve ever desired to be. We bless you with this amazing walk into 2014. Your experiences will only be measured by your Highest Essence and that has unlimited potential bringing forth Harmony and Balance and the Divine Light that each of you are to be fully manifested within the physical creation that you are. It is our Divine Pleasure of the Unified Whole Command of Master Toth, the Great Divine Director, and Master Einstein to be the spokes-beings for this amazing energy of Oneness upon the Earth. So Mote It Be In The Light Of All That We Are Together. We Are One. Really love it? We certainly do appreciate your DONATIONS: http://tinyurl.com/donate-to-WalkingTerraChrista of support.